It takes place in the shadow of Mount Takao, which is known for its hiking trails. Many a busy urbanite comes here on the weekend for fresh air and exercise. But since 744, when a temple complex was built during the reign of Emperor Shomu, the area has also served as a retreat of a different sort: a home for Buddhist monks. And not just any Buddhist monks. 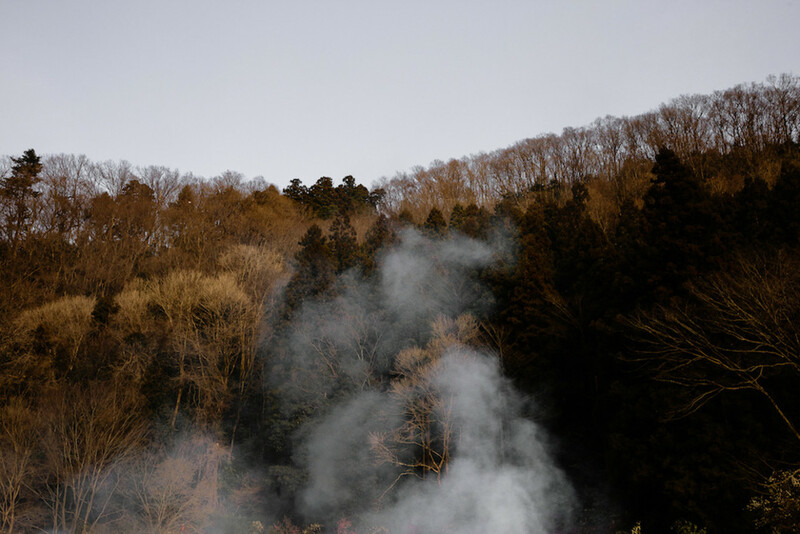 The compound’s residents practice Shugendo, an esoteric branch of Buddhism that has laid claim to the temple since a priest of that persuasion undertook its restoration in the 14th century. A strain of Shingon Buddhism that embraces elements of Taoism and animistic Shintoism, Shugendo places a high value on ascetic practice. 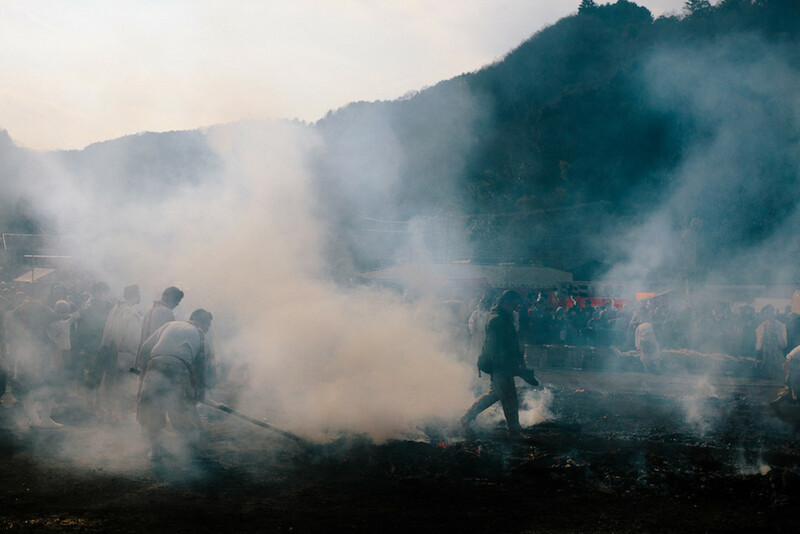 Its most disciplined followers are known as yamabushi, ”those who lie down in the mountain,” a reference to long periods of self-exile during which they do little more than pray and meditate. 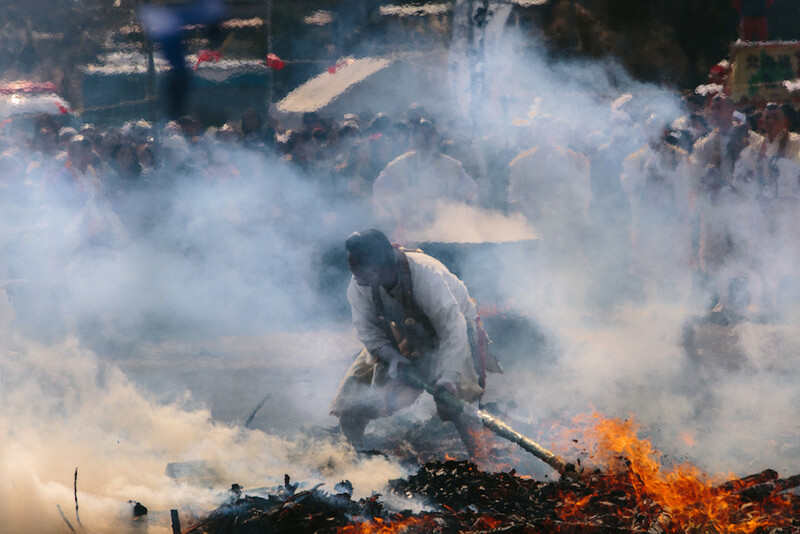 They are also called shugenja, and shugyosha, and keza, all of which roughly translate as “individuals who have accumulated power.” Few things demonstrate that fortitude more tangibly than fire-walking. 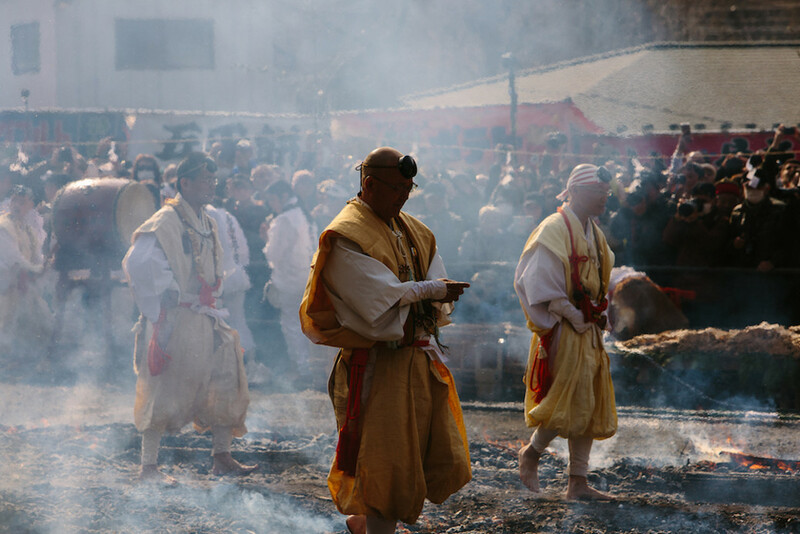 Seasoned monks have done this feat publicly for centuries underneath the sacred mountain, taking an element known in the East as a symbol of purification and a source of enlightenment and putting it at the center of a ritual designed to stamp out an accumulation of negative energies. 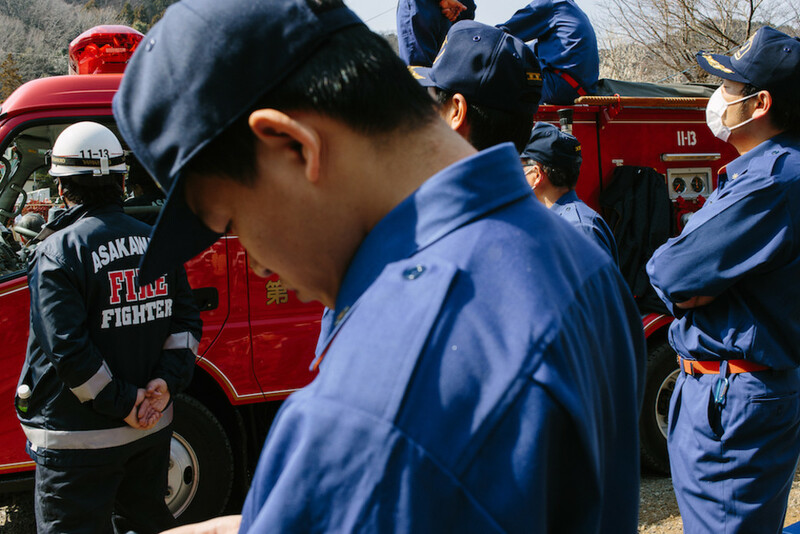 Sanctioned contact with the fire is also meant to make the wishes of the many come true, which is one reason that thousands come to be a part of it. A mix of true believers and the merely curious look on, gathered around a large heap of cypress branches and monitored by wary police officers and firemen. Monks and parishioners chant, as a voice over the loudspeaker explains the meaning behind their words and actions. 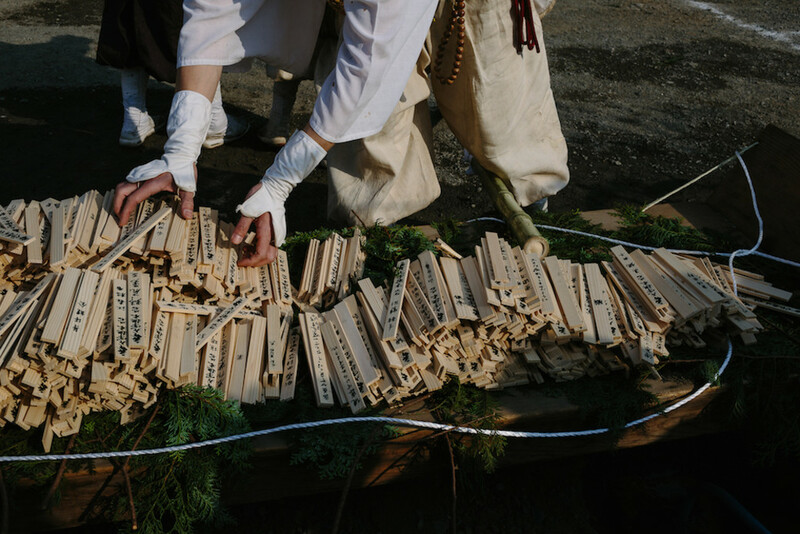 Like a litany, a monk reads the names of those devotees who have bought a goma-gi, a bookmark-sized wooden stick that will soon be thrown into the blaze. On each are written the purchaser’s name and wishes (love, health, success in business) that he or she would like to see realized. Another monk sweeps the air with a long axe, a gesture that one of his brethren then imitates with a sword; more monks throw arrows from the four cardinal points. In response, the demons—those that dwell both out in the world and in the hearts of men—are expected to scatter. 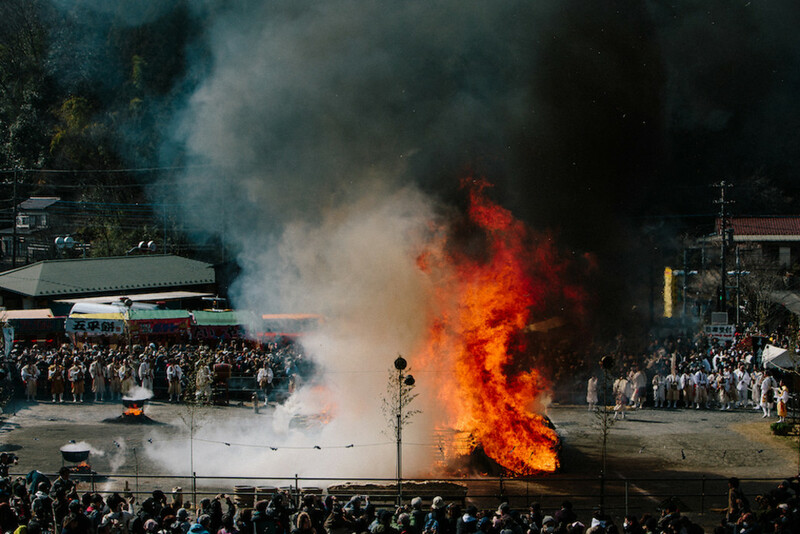 The crowd cheers and applauds, pulling a religious ceremony into the realm of spectacle. The senior monk lights the bonfire. The sound of conch-shell horns and reverberating bells fills the air. 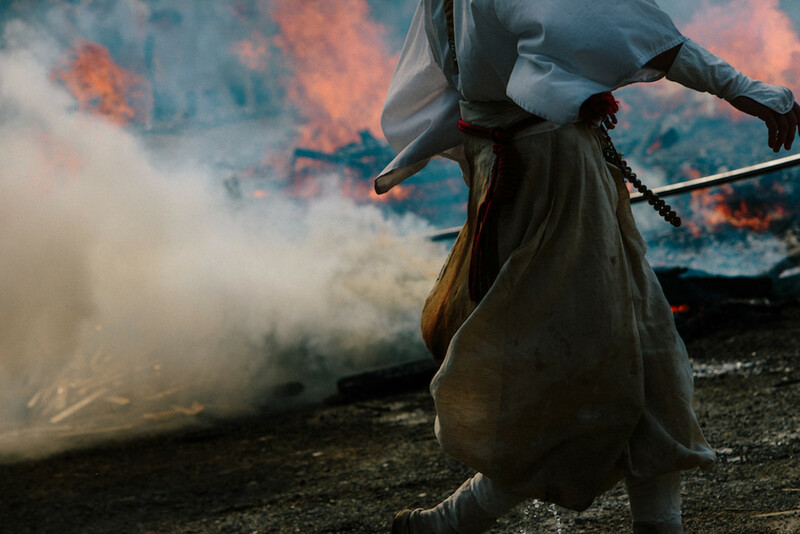 The monks parade around the rising flames, struggling to keep their eyes open in the smoke. Some monks contain the inferno with buckets of water while others feed it hundreds of goma-gi, grimacing as the fire burns. But purification comes with direct contact. 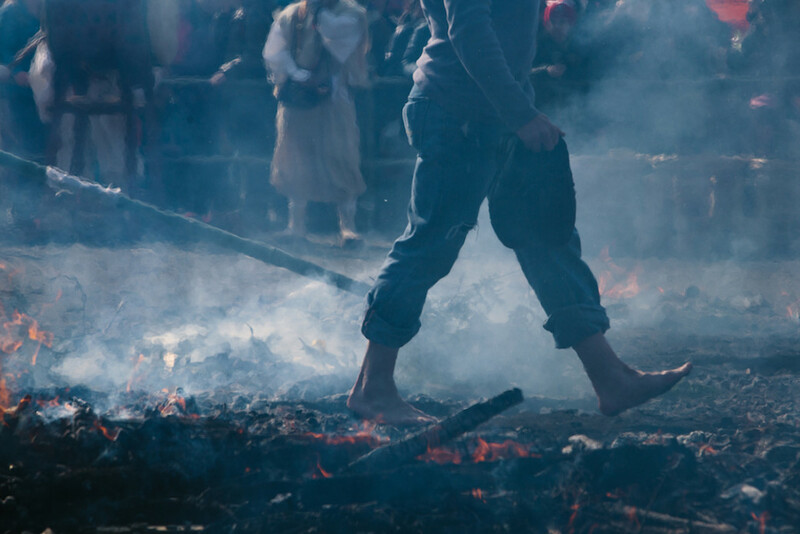 The most venerable monk declares this path open by walking barefoot on the glowing embers. His fraternity follows, at different paces, using a flat-footed technique that helps them avoid getting burned. Once the fire has settled into a cool, dusty carpet of embers, laypeople may take a turn. 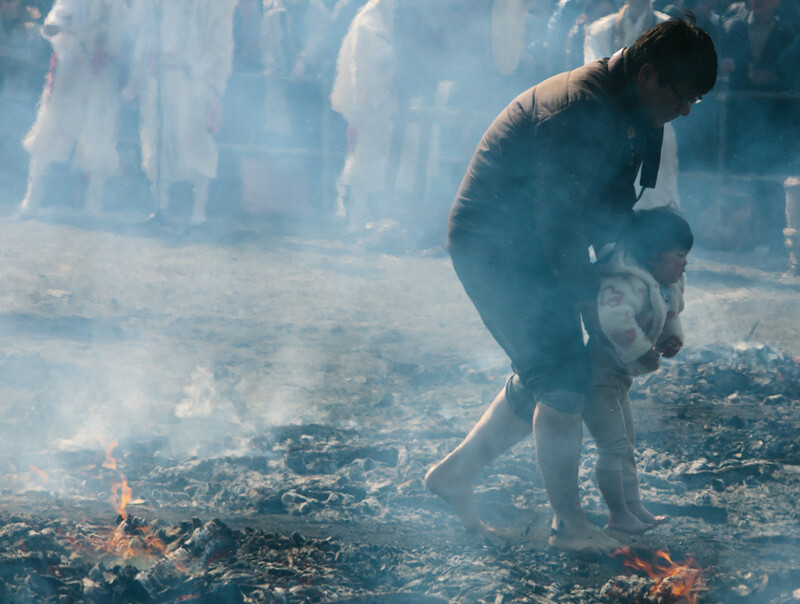 Women, men, young children and the elderly undertake comfortable “fire-walks” of their own after the monks; the entire ceremony takes two hours. Different classes of participant seek different results: for parishioners, the effort brings good luck and spiritual renewal. 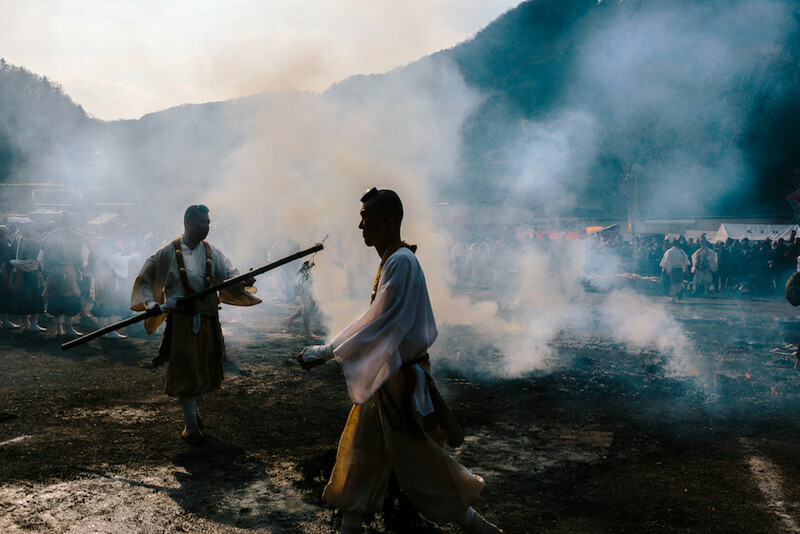 For monks, the walk marks a return to Buddha nature and to the world-changing potential that lies within it. The flashing cameras and tour buses notwithstanding, hi-watari is no mere stunt. To one group of believers, at least, it is a path to the awakening that lies at heart of Buddhism.